Shortlease and white label rent for cars, vans and trucks. At Kuperus Autoverhuur you can lease or shortlease vehicles for private or business use. Think about leasing passenger cars, vans and trucks. If the lease contract is shorter than a year, we call this short lease. Short Lease is a very popular mobility solution, because it is cheaper than renting and more flexible than leasing. An ideal option for start-ups, because you are able to quickly respond to changes and you can regulate the costs. Our rates include maintenance, all risk insurance and road tax. Fuel is not included. We can deliver our vehicles without our own branding, so you are able to put your own logo on the vehicle. The photo above this article shows one of our clients with their own logo. 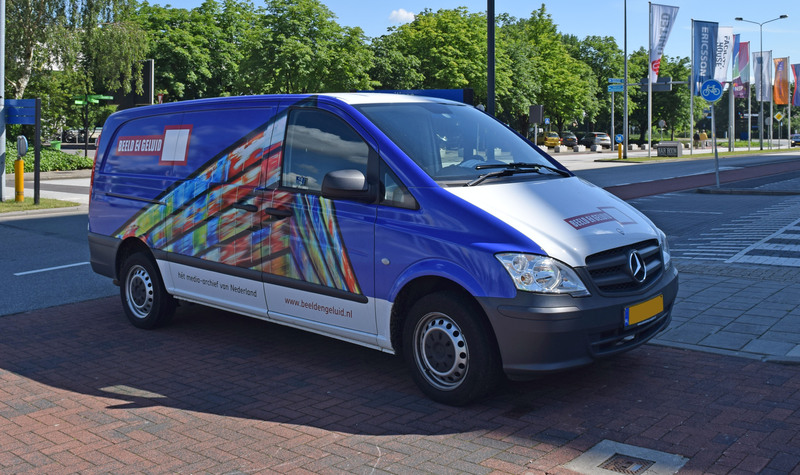 If you don’t mind driving with logo’s of Kuperus Autoverhuur, you can get a discount on the renting price! Do you have questions or would you like to receive more information? Please feel free to contact Sander Kuperus at sander@kuperus.eu. You are also welcome to visit us at the office to enjoy a cup of coffee to discuss the possibilities and of course we can also visit you if you wish!